Right. 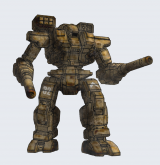 Since the BattleTech Mercs forums are currently having some issues, the Black Stars Mercenary Collective has decided to transfer our (dubious) writing and story telling to the CBT forums in the interim period. We have recently concluded a contract for the LA on the system of Summer. For reference, below are the details for the contract. Though its sun is a cool M-class star, Summer's close orbital path and an ever-decreasing ozone layer have made this world much warmer than one might expect. The surface of this world is rocky, with numerous mountain chains making overland travel difficult between the major cities that have sprung up over all four major continents. These cities, almost invariably located near oil fields and the veins of radioactive ores that crisscross the planet's lowlands, have formed the core of Summer's economy ever since the planet was established, during the first Terran exodus. Unfortunately, infertile soil, capable only of supporting a native purple scrub grass limited the planet's agricultural endeavors and forced the early settlers to form trading partnerships with nearby worlds to feed their industrial expansion. Summer's export industry of oil, and radioactive materials, both crude and refined for fuels, easily helped address this need and made it one of the more valuable worlds of the Federation of Skye, even before that nation helped form the Lyran Commonwealth. During the height of the original Star League, the discovery of germanium deposits in the Balise Mountains, on the southern continent of Wessler, made this world a manufacturing center for JumpShip components as well, further boosting an already soaring economy and rating the planet not only a heavy garrison of Star League troops, but a few Castles Brian as well. Unfortunately, most of these facilities were destroyed during the Amaris coup, but enough survived to make Summer a valuable prize as part of the Lyran Commonwealth. Despite centuries of Succession Wars, when it became a favored staging ground for Steiner attacks on House Kurita, Summer miraculously maintained much of its industry. However, the output of its aging refineries, damaged by Kuritan raids on more than one occasion, began to gradually weaken the planet's already thin ozone layer. The additional ecological impact of heavy DropShip traffic, made necessary by the planet's rough geography and the presence of ten active spaceports, has only furthered this decline and is largely blamed for the increasing temperatures that make Summer a world more than worthy of its name. The capital of Curitiba is located on the Lestrade continent named for the powerful family that once ruled the world. It is also home to Summer InterStellar Components, who produce various JumpShip parts. The Lyran Alliance is needing to occupy the ULTRA forces on the captured Lyran worlds. The LAAF is asking for a mercenary unit to perform a Recon Raid on Summer. Loki agents report that there is a large supply depot. The mercenary unit taking this contract may take the liberty in looting the depot. Loki agents also reporting that both ULTRA units are reinforced. 1) Discover the composition of both UTLRA units. 2) Raid any targets of opportunity. 1) Gather information about defensive positions. Merry Christmas and Happy New Year to all at home. I hope I'll still be able to repeat my greetings and salutations come next year. Heck of a 3091 for me and my people here on Summer. ULTRA happened to us, as did much of the Skye Province, or what's now left of it. We put up as much of a resistance as we could, but they came in too fast and too damned hard - it was certainly something we didn't expect of the Leaguers. Forget about all those nonsense from them that ULTRA's a separate entity altogether. The tactics, the hardware, the sheer QUANTITY of their forces, you'd be an idiot to believe otherwise. When we detected unknown forces coming in late November, we had hopes that the LAAF had finally come to retake the system. You know what they say about high expectations? Yeah, to say that we were disappointed would be a massive understatement. If was not that these mercenaries, these Black Stars were rubbish. Heck, they took out several ULTRA outposts and looted their depots. These mercs even took out what we discovered were sup-capital defence systems that were meant to keep offensive prying black naval assets out. Whatever was said about these people, I've got to give it to them, these people have balls. I’ve been told they were of augmented regiment size. I don’t know… they sure fight well in small teams action. Whatever it is, they’re good, but they’re not good enough for what I’d hope they would be doing. Despite their silence on the matter, I've caught on that the LAAF wouldn't be sending any cavalry anytime soon to retake Summer. We might be relieved and extracted, but we've been hit too hard on too many worlds. And ULTRA isn't our only concerns. Who knows? If relief comes along, I might simply give up and commission and sneak my way back into the city. I might not like the new landlord, but I've come to see Summer as my home... unless I'm told I'll be part of the forces sent to retake this mudball from ULTRA. This SHOULD be the latest TO&E of the Black Stars. Let me know if I missed out on anything. Lance #1 "The Cleansing Flames"
Lance #2 "The Dancing Flames"
Ah yes, the Rapier. Cool. Anyone mind filling me in on Ultra and what else has gone on in the last three IC years? They killed my CO, or maybe I did that in the Wings, I can't even remember. Haven't been thinking about this for a year and a half or so haha. Erm. I think 3090 to 3092 ULTRA has been on the rise. Start of 3092 they declared for Agatha Marik who has been supplying them all this while. Terra, Outreach and Liberty Holds aren't captured and neither are the areas around it, they're just under siege for the major worlds and exchanging hands quickly in the other systems, or contested in 3 or more way fights. Vamps I'm joining you on Gacrux then. Eta to assault? Any PCs in my unit btw? So I know who I'm subordinate too and where I'm going. No link yet as its the Summer supplemental actually. Cricket is on planet but I was late to the party so I'm linking up with Vamps' Sharp Shooters on Gacrux before we jump into Summer together. I've attached the finalized transcript since some of you might not have read the full thing before the forums became inaccessible. Might also be a good way for you guys to get filled in. Tentatively, pending the official sup-contract offer, we're going in mid Jan 3092. However, Summer WILL remain in ULTRA hands. In fact, due to us lagging to BTM official time, the FWL has offered a contract on Summer to root out guerrillas and pacify the unruly citizens. We'll move in, hit the multiple ULTRA forces on planet, pillage and burn ULTRA facilities, pick up as many of the Militia loyal to the LA and civilians as we can, before high tailing it out of there with possibly a Thera Task Force chasing our collective asses. By the way, how is ULTRA organized militarily? What formations do they employ? Inner Sphere style lances and up etc? For all intends and purposes, ULTRA is FWLM. Hardware, ranks, military structure - hence my Thera reference. 101st ULTRA Dragoons, formally a Regimental sized combat unit, but the invasion of the core areas had reduced the 101st down to two reinforced battalions. Alpha and Bravo Battalions each possessed two companies of Mechs, one armour company, and one mechanized infantry company. Shockwave, Cronus, Blackjack, Wraith, Anvil, and Tempest. Stygian Hover Tank, Galleon 103 and 104. The Bloody Marauders encountered 4 Lancers, while the Shooters advanced team was forced to crash land by a pair of Shivas. No other ASFs have been sighted since. Our LA ambassador has asked for the length of the contract we'd like. I would like to know who would be able to post on these forums for now before I give any sort of commitment. M here. Slow at work of late. I'll be able to contribute some. Put important notes for your posts though for things to focus on please, sometimes I'm in a rush and I want to focus on quality writing. I've started an IC thread for Summer, based on the understanding that the sup-contract will be an Offensive Campaign. I'm discussing contract duration with the ambassador right now, as well as the details. The first couple of posts are from the Kid. Mine might be changed depending on the exact details of the contract offered. Thanks. Was it troublesome inputting the formatting? Any chance of making purchases? So is my sub-unit preset? What assets were deployed to the prior contract? Kid: it required some work cuz I have to input things like italics and bold manually for each and every word, compounded by the fact that there's a maximum cap on how many characters (yes, characters, not words) each post is allowed. Took me quite some time but it's ok. I have the whole thing plus my own posts consolidated in word format as well for ease of trascripting later. Escudero: IC-ly, we did not commit any ASF assets to Summer except for what Cricket's Marauders have on their sub-unit TO&E. All those that you see as Unit General Hardware are defence units safeguarding our dependents on our Snowden space station. We also do not know if the LA will despatch additional reinforcements. What kind of hardware are you looking for? Let's deep of we can work something out. No rush of course, we all know the forums are down. Just going to leave this here while we wait for payment to clear and so on. No worries. I've always been a stickler for all these. Also, it makes things easier for me to simply copy and paste onto .doc with less need for editing. Based on the WC spreadsheet that I did up, you actually would have about 55 tons of salvage. Rather than SELL your tonnage, why don't you consider BUYING another 5-6 tons or so so that you can request one of those machines you want as salvage? If they're 60 tonners of course. Been talking to Escudero over IM, and we need an idea why his character, who is currently one of the pilots in WarClaw's The Risen sub-unit, would join with the main force for the campaign on Summer. Given that The Risen has been tasked to scout out periphery LA worlds, specifically New Mars, as our potential landhold, I was thinking that Escudero's character felt it time to break away and form his own sub-unit. For hardware, I'll go out on a limp and approve Escudero to use the pair of Rapiers from the Risen unless Claw comes in and objects to it. However, I would want them returned to the Risen and Escudero's unit to purchase their own asap. Alternatively, I can use the Shooters' fund to loan an amount to foot any purchase first, as long as it is not unreasonable (no Escudero, I'm not going to buy you an entire Vengeance class DropShip, its full complement of ASFs, a couple of Avengers, and a Leopard CV). 1) Terra, Aug-Sept 3091. All sub-units, including The Risen and Sharp Shooters were refitting and recruiting after Huanghuadian, less the Bloody Marauders. It was early to mid Sept '91 that the Risen detached from the main Collective to head towards New Mars. 2) Gacrux, from Nov 3091 onwards til present (Jan 3092). Except for a company from the Maruaders and a Recon squad from the Shooters, all participating sub-units were held on Gacrux while the former 2 detachments were sent in to carry recon raid on Summer. I'm not using my DARO-1 Dagger, he can use it for the next 1 or 2 contracts at least. I know I've 55 tons but I'd rather have the cash. That is if anyone wants to buy 55 tons of salvage rights. Sounds like an idea. I'll wait for a while. If no one is interested, I'll buy them at 100k a ton. Given that The Risen has been tasked to scout out periphery LA worlds, specifically New Mars, as our potential landhold, I was thinking that Escudero's character felt it time to break away and form his own sub-unit. For hardware, I'll go out on a limp and approve Escudero to use the pair of Rapiers from the Risen unless Claw comes in and objects to it. However, I would want them returned to the Risen and Escudero's unit to purchase their own asap. Actually, Escudero may have the Rapiers free and clear, if he wants them, with Marius' blessing. The rest of his unit may be effectively out of mercenary work for the most part, so he might as well give Escudero's unit a good start. Appreciate that. In that case I know what to do. Excellent! Now get crackin' and start writing. I'm hoping to know the details of the contract soon. What do you guys use the dropbox for? Also, what is the location on Terra? The Alice Springs complex doesn't exactly exist anymore iirc right? I'll amend the details into my post. Talked with the LA Ambassador. He says the contract generation part of the BTM is still functioning. He said that he approved the success of our Recon Raid contract. Unknown if the Director, Deputy, or the PS has approved the success and funds. Staff is trying to do some work-arounds to keep things moving. LA Ambassador says when we determine the length of the Offensive Campaign, he will submit the contract and brief the staff. The Bloody Marauders Battalions TO&E is correct. Vamp - you have my salvage wish list and the two purchase requests (standard & BM) after we get out Recon Raid funds. The Kid - considering the offer to buy some of your salvage tonnage. Kid uses it to send me his transcript posts so that I can copy and paste onto the contract transcript that I keep. Makes for less need to edit, and easier for me to add to the consolidated one so that I can submit quickly with little headache. Just to give you guys a head up that we SHOULD be getting some details of the contract soon. However, due to the problems over at the forums, we might not have the chance to get our funds, claim our salvage, and do any sort of purchases before we start the campaign proper. Still, IF we do, we can always backdate them, and throw in some flashbacks, even change those posts we already put up if necessary. I also would like to have everyone know that I've started organizing what we've posted into chronological order in a contract transcript, as well recording WC. I've taken the liberty of adding your signatures at the end of each post. It doesn't bump the WC up much, but its at least something. Once I know the contract reference numbers and such, I'll add these to the start of each post as well. This is how our WC is coming up as of Escudero's latest IC post. Oh, Kid, you've dated your posts wrongly. The year should be '91, not 92. I've changed them in the transcript, but do change those in your posts. Years changed. Damn that always gets me. Not really. ULTRA officially revealed themselves as part of the FWL in early 3092. So our campaign will probably be one of the last, if not THE last that we'll be going up against them. 1) Destroy the ULTRA forces on Summer. 1) Capture the ULTRA Supply Depot. 2) Capture any ULTRA fortifications. Are you the Ambassador Cricket? What is the strength of those Ultra forces in terms of regimens guys? Yes, I am the LA Ambassador. The Deputy Director said to send him our salvage wish list and purchase requests. The 71st ULTRA Dragoons is a reinforced company with 4 mech lances. The 133rd ULTRA Armored is a reinforced company with 4 tank platoons. The 101st ULTRA RCT is reduced regiment but with two reinforced battalions. Each Battalion possessing a reinforced mech, armored, and infantry companies. So reading Vamp's post, if I understand correctly, there is an advanced force of the Black Stars, one of our sub-units perhaps, that is already on world and cooperating with the resistance/militia? Let me know if that's accurate, and if so, when the rest of us arrive and what ship my Flight will travel on. Thanks. There's a sit rep buried in my last ic post. Cricket: can you let us know how much cash we were paid, as well as salvage allocation? If you didn't have the time to work them out, I'll pull the transcript and manually count again. What is the Iron Gauntlet? A Warship? Escudero: Kid's last IC post gives a good summary of what's happening on Summer. Essentially, a company of Mechs from the Bloody Marauders and a squad of infantry recon team from the Sharp Shooters had been inserted in for the main Recon Raid contract. The latter linked up with the remnants of Summer's Militia, a single Mech lance, and they are working with local resistance as well. Separately, these two forces have hit ULTRA outposts, depot's and had taken out their sup-capital weapons defence systems. At the end of the main contract, the rest of the entire Bloody Marauders reinforced battalion jumped in and landed at the LZ prepared by their advanced team. All ULTRA forces have been identified and tagged at around the capital city, which is the continent where the Marauders are, with a smaller presence with a smaller force on the northern polar continent where the Shooters Recon team is. The rest of the Black Stars are gathering on Gacrux, a LA system 2 jumps away from Summer. Our plan is to jump in latest by end January 3092. There isn't much we can plan on now without more details on the contract, but I think we should focus our strength and kill off that RCT first. Once the main threat is down, the two smaller garrison units should be easy pickings. As for transport for your ASF, you can hitch a ride on the Event Horizon for now. Excellent, thank you. Will fill that in. Here is how the Recon Raid breaks down with the 84,332 WC. Let me know what system from we go into Gacrux and on what date, I'll edit them into that post I just put up (#2). Thanks Cricket. However, do note that because your salvage tonnage is 55 tons, that MAD-5D isn't allowed unless you buy up salvage tonnage from WarClaw and/or Kid. Sorry, but rules are rules bro. On the other hand, if you DO buy salvage tonnage, you can ask for equipment of higher tonnage than that Wolverine and Spector. So... yeah? Below is our updated bank accounts. For those entitled to salvage, let me know what you want, or if you intend to buy/sell your tonnage and price please. As Cricket mentioned, I'll consolidate and email to Tim once I have things sorted out. So far, I have purchase request from Kid and salvage wish list from Cricket. Erm... this was posted by myself a couple of posts back for those catching up on the contract details..
Terra, Aug-Sept 3091. All sub-units, including The Risen and Sharp Shooters were refitting and recruiting after Huanghuadian, less the Bloody Marauders. It was early to mid Sept '91 that the Risen detached from the main Collective to head towards New Mars. Gacrux, from Nov 3091 onwards til present (Jan 3092). Except for a company from the Maruaders and a Recon squad from the Shooters, all participating sub-units were held on Gacrux while the former 2 detachments were sent in to carry recon raid on Summer. I'll let Cricket have first options. Whatever is left, I'll buy. Well then Cricket, 55 tons at 100,000 per? Purchase 30 salvage tons from The Kid = 3,000,000 C-Bills. Ok great. Vamps that's 25 tons for you then? Sorry, I'm still not overly familiar on the depot system. I notice I'm buying a Capellan Mech CTF-4L and a Fed Suns Mech GLT-8D, the 2 others being available in Lyran space per my checking. Would it be unavailable at the Lyran depot or do we not get a discount or is there a transportation charge? How does that work? Changed the date to 2 November. Sure, I'll pick up the balance for 2,500,000. Yeah. Was going through them. Basically, we can't buy these from the Lyan Depot. We'll have to get it from Terra. There WILL be transportation charges for these, and usually insurance to ensure that things don't go missing. However, with our rep discount, it is a very small amount. The others we can simply say that we collect direct from a LA depot. Whatever it is, the Stars always deal with purchases as an OOC matter. You can chose to RP whatever way you wish on how you got your shiny new toys. My own salvage would thus be bumped up to 157 tons. Below is my wish list. I will forward the consolidated list to Tim later. In order not to make things messy, I'll email separately our purchase request AFTER we settle the issue of Kid's purchase request.... unless we're going ahead with it regardless of the extra charges? Allocated tonnage 157 tons. Allowable Wish list 471 tons. Below is the adjusted bank accounts after sale of Kid's salvage tonnage to Cricket and myself. Edit: Sorry can I add 2 Foot Rifle Platoons? Total: 29,667,122 before discount. After 25% discount, its 22,250,341. I expect my account to have surplus even after charges, if so please transfer the 5,000,000 loan repayment plus any interest due to yourself. Many thanks! I've checked. Based on LA rep plus currency bonus, we get a 24% discount. Based on our overall rep discount, we can the max 25% discount from Terra. So... there isn't really that much of a difference. So, this is what we have right now in terms of purchase list. I was thinking we might want to wait until our salvage is awarded so that we can do buying and selling at the same time... but than again, we might be starting our Summer sup-contract soon so we might as get on with things eh? Let me know if there's anything else you want. Cricket: I need to know which variant(s) of the Armodon you're going for. They are the Armodon Hover APC variant. Should i go ahead and submit the supplemental contract as posted earlier? Just tried generating the contract on the Admistration Interface. It will not let me log in. I have the contract saved and will be sending it to the Deputy Director so he knows about it. The Deputy might be able to generate it, check with him. Deputy Director has been informed and will get back to me. At the risk of pre-empting the details of the contract, below are my rough plans for the upcoming sup-contract. 1) The Bloody Marauders have already landed, and identified the 101st as our main thread. Coordinates and defences at the Starport, supply depots, fortifications and outposts have been identified. 2) Main force arrives at Summer late Jan 3092. With LZ secured by the Marauders, and our main enemies located near the capital city, we land all our forces there, except for me dropping a company of mixed tanks and BA near to where the Summer Militia Lance and Shooters' Recon Alpha team is. The objective of the latter is to make sure that on one hand, none of those ULTRA forces on Aberdale can assist those on the main continent of Lestrade where the Capital is. Also, also to ensure that none of the 101st escape from the net we're gonna throw around them. 3) We land as planned against minimal resistance, since there was minimal ULTRA ASF presence and we have the Iron Gauntlet covering space and the skies. 4) We started to hit ULTRA positions, and wore down he 101st and what's left of the 133rd. 5) Meanwhile, on Aberdale, the Summer Militia and the company of Sharp Shooters continued to combat the 71st ULTRA Dragoons. 6) All 3 ULTRA units got reduced to below combat capable. We are about to wipe them all out, or offer them surrender when we receive news from Kaptain Damad Sandaker and his Iron Gauntlet from orbit - the ULTRA reinforcements have arrived. Details to be worked out, but I'm thinking of something substantial - a fleet anchored by one of those WarShips probably. That's my rough idea for the contract story plotline. Details to be worked out and confirmed. As usual, I'm open to you guys having fun with the actual details. Uh oh. I guess when they show up its time to run away. Sadly, we won't be keeping Summer as shown in the currently offered contract for the system UNDER THE FWL. We can certainly kick all the butts we want, and evacuate as many civilians as we feasibly want to, but we will not get to return Summer to the LA. However, there WILL be those willing to stay behind and make things difficult for the new landlord. Just got this email. Tried it. And it bloody hell worked! First, my apologies to the Staff for reactivating my account without prior discussions, but i've been in contact with the board/domain owner and i got his approval to try and take a stab at the community's current predicament. I have tested the issue on a local server using backups and i believe i may have found our problem and fixed it. For those who are interested in a more technical explanation - it had to do with the authentication method which was based on an external database through a service provided by IPB (Converge); service which has recently been retired in favor of a newer version available from IPB v4 and above. I have switched the forum back to a regular/normal authentication method and both my former accounts have managed to log in. Please let your people know that they should try again - in case you're still experiencing issues i would suggest clearing of cache, cookies and other temp internet files. Also don't hesitate to email/pm any of the Staff members or myself in case you still cannot log in. Note: will try to also send a community wide email. Okay let's shut this down and push it all back to Mercnet? I am back up and capable on the BTM Forum. The Supplemental contract has been submitted and awaiting for approval. On it. Give me a day or so. This will continue to be our backup though. Supplemental contract has been submitted. Length of contract is 4 months (60 days real time). Might want to wait a little while when a couple more of our people comes back, or response. I know I have you and The Kid. Not sure what's happening with the others though. It is gonna be a battalion or regiment type contract? For those not in the know for any reason, a new forum has been set up as the position of the old one has been determined to be untenable. Those of you yet to receive email notification can PM me here for the link. For those loyal Black Stars supporters, this is your chance to start a new adventure with us! As is above, PM me if you're interested and we'll talk. Quite a bit has happened to the Black Stars over the past recent months, some matters coinciding with the crash of the forums, some due to real life problems many of us face in the current global economic uncertainty. OOC-ly, we've had several key members applying for LOA with the recent difficulties. These have been the core of the Stars for years, and I'm hoping they'll make a return soon. IC-ly, the Stars have finally been awarded our first landhold. Unlike most other units who usually gets a border world, we volunteered to explore and conquer the long lost former RWR system of Erdvynn instead. With jobs aplenty and history to be written by the victors, the Black Stars are looking to hire. The Collective takes in highly decorated former ComGuards Generals as well as the lowest scum. we only ask for one thing in return - loyalty to the Black Star family. Contact myself through PM if you are interested and we'll see what arrangents we can make. Well, we've officially taken the Erdvynn systems for our own and the LA has declared it ours to keep. Several new story arcs are being laid out for us to pick up, with it NOT being restricted to contracts with the Lyrans only. Of course, we won't be going up against our employers, but there are plenty of options out there. 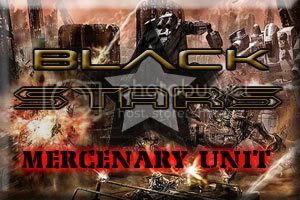 The Black Stars Mercenary Collective hereby extends an invitation to one and all who are interested in literally writing history to sign up with us. We are rather liberal in our recruitment policies, with members' background ranging from disgraced Clanners to former Word of Blake soldiers. Drop me a PM if you are interested to find out more.